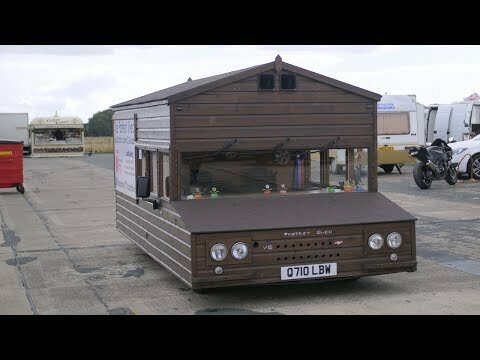 British gardener Kevin Nicks has smashed through his official record for the world’s fastest shed - by reaching a top speed of 96.8mph. The 52 year-old, from Chipping-Norton in Oxfordshire, surpassed his previous record by 8mph on Saturday August 19, at the Wheelie and Top Speed Championships event at Elvington Airfield in York. Kevin was hoping to break the 100mph mark and only fell short due to high winds and adverse weather conditions. But thanks to the added nitrous boost he recently installed on the back of the unorthodox vehicle, Kevin was able to power through and officially break his existing record. Fun with fidget spinners and super strong magnets! Woodwork. The carved post. An experienced carpenter.